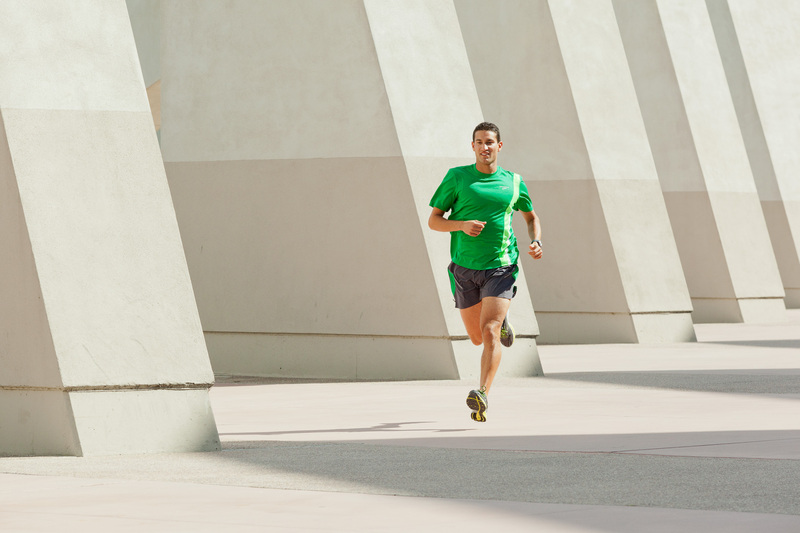 Man running with concrete diagonal structure in background. San Diego, California. Fitness by David Zaitz Photography.